← Owner Pic of the Week: Sunset in Bali! This photo was taken on our recent holiday to WorldMark South Pacific Wanaka in August 2011. Sunset over Lake Wanaka. Every time we see this photo we just want to come back! In 2010 we had our first Wanaka Experiece and even after surviving the Christchurch Earthquake in September we just had to come back!! We all had a wonderful time Skiing at Treble Cone and Cardrona, sightseeing and the Kids just could not go a day without relaxing in the hot tub after a long day. The staff at Wyndham and people of Wanaka are so welcoming and they live in what we think is, the most beautiful place in the world. 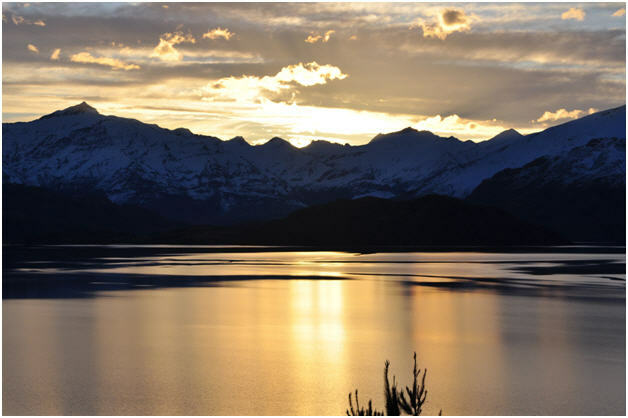 This entry was posted in (NZ) Wanaka and tagged family, holiday, Lake Wanaka, new zealand, skiing, travel, vacation ownership, Wanaka, worldmark, Wyndham Resorts. Bookmark the permalink. I’m glad you enjoyed your stay In New Zealand.Wanaka is a beautiful place and my favorite ski destination.Fabulous picture.